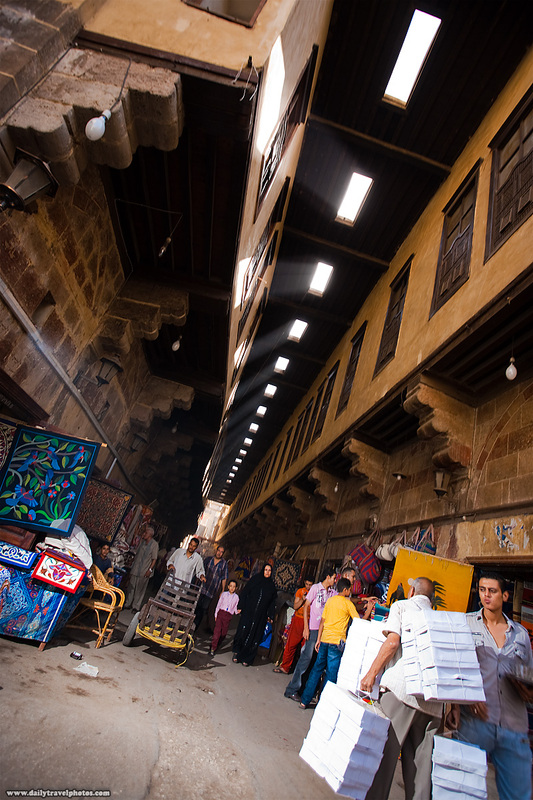 Shafts of light rain down on the Bazaar of the Tentmakers in Islamic Cairo. I'm of the school of thought that if you don't notice the artificial lighting in my photos, I've done my job. So do you notice the bare-bulb flash now that I've mentioned it? Turns out this was actually a test shot that I ended up liking. I dragged the shutter a bit too long so you can see parts of the image aren't as clear as they should be. Like I mentioned several days earlier, I'm still getting reacquainted with off-camera flash after an extensive break. Test shot (to dial in the proper exposure) showing my bare flash on a stand at the Tentmakers' Bazaar in Islamic Cairo. I just noticed there's a bicycle bread delivery guy in the photo. 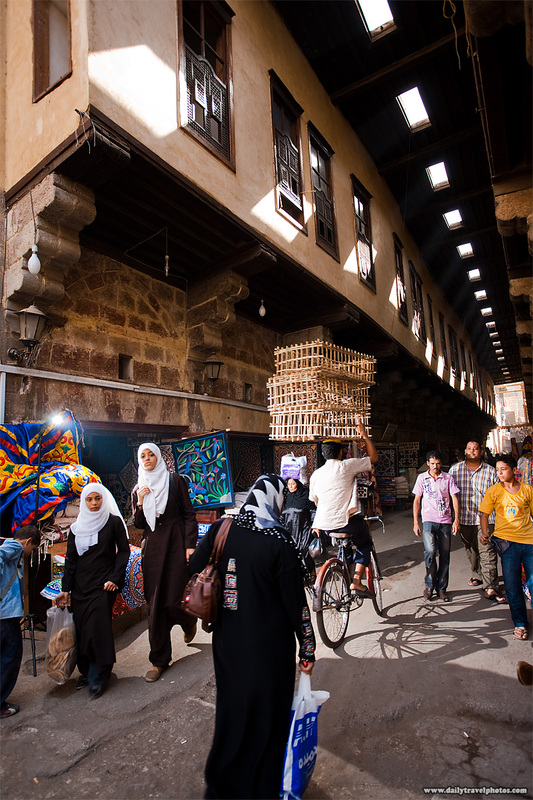 They're literally everywhere, including the narrow alleyways of Islamic Cairo!